Recommendation: Take 1 capsule three times daily, prefably with food. Note: Increase fluid intake during use. 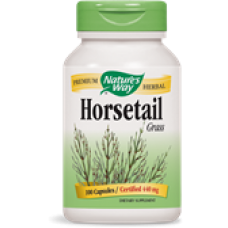 If you are pregnant, nursing a baby, or have cardiac or kidney dysfunction, consult a healthcare professional before taking this product. 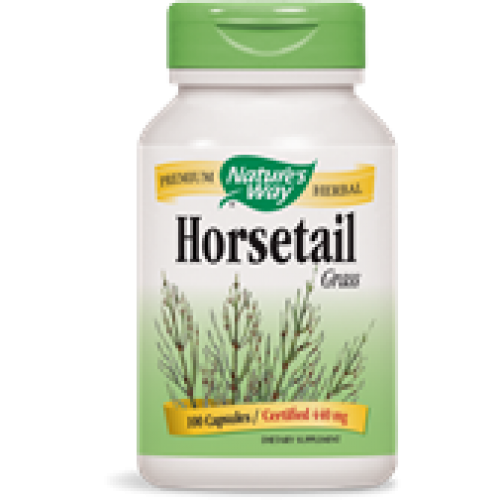 Horsetail Grass (Equisetum arvense) is a source of silica, heavily concentrated in its dried stems.The name comes from the appearance of the mature plant, which resembles a horse's tail.